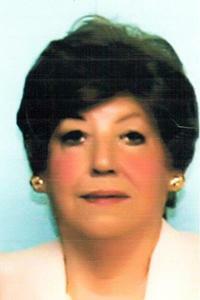 Lona Zue (Faulkner) Lewis, 71, 1754 Lowell Dr., Fairborn, Ohio passed away at her residence on Tuesday, October 1, 2013. She was born September 12, 1942 in Ironton, Ohio the daughter of Gilbert and Cleo (Stiltner) Faulkner and they are deceased. She was married to Henry Lewis and he is also deceased. Surviving is a brother, John D. Faulkner and wife Debbie of Wapakoneta, Ohio and four half sisters, Rose Cox, Georgia Adams, Joyce Hayes and Mary Hopkins of London, Ohio. One brother, Phil Faulkner and one half brother, Frank Hopkins are deceased. Mrs. Lewis attended Ashland Business College and graduated from Albuquerque University, Albuquerque, New Mexico. She was retired from Wright Patterson Air Force Base in Fairborn, Ohio. She was a member of the Fraternal Order of the Eagles Auxiliary 2641, American Legion Auxiliary 0526 and the Moose Chapter 917. She enjoyed doing crafts and playing bingo. Aunt Suzie will be sadly missed by nieces and nephews. Her body will be cremated and there are no services. Salm-McGill and Tangeman Funeral Home in Sidney is handling the funeral arrangements.